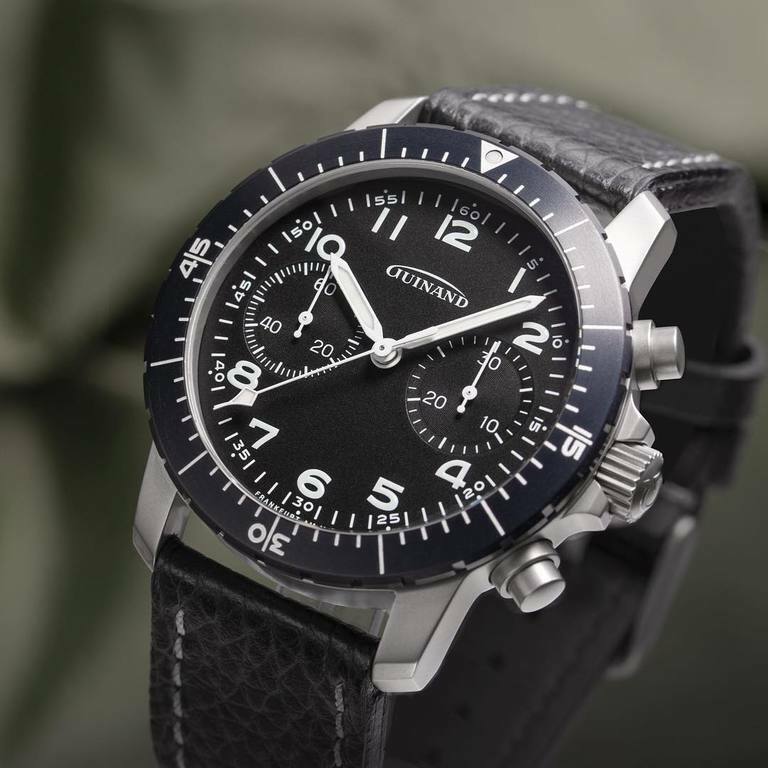 GUINAND releases their new Starfighter Pilot Chronograph. Really nice chrono I think. 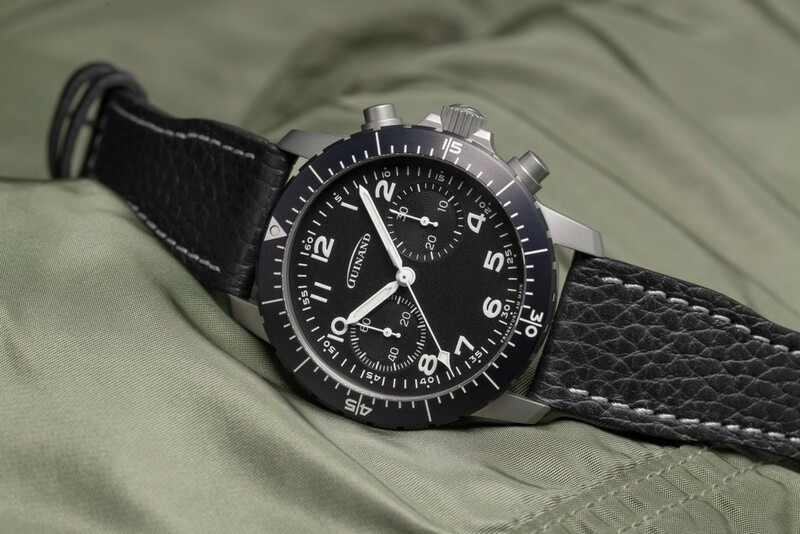 Reminds me of the old Heuer BW pilot chrono. Very nice, indeed. Excellent legibility. Not only the high contrast color scheme, but also the fact that no numbers were harmed in the making of the dial. Half-eaten numbers not only look bad but also clutter the dial. Sorry, I completely forget the specs of this watch. Funny how I actually can read German. Amazing how after looking at spec sheets long enough you can interpret unknown languages.